Other posts on this project: Parisville Quilt Pt. 1, Parisville Quilt Pt. 2, Parisville Quilt Pt. 3. I used a variegated purple thread and free motion quilted it. 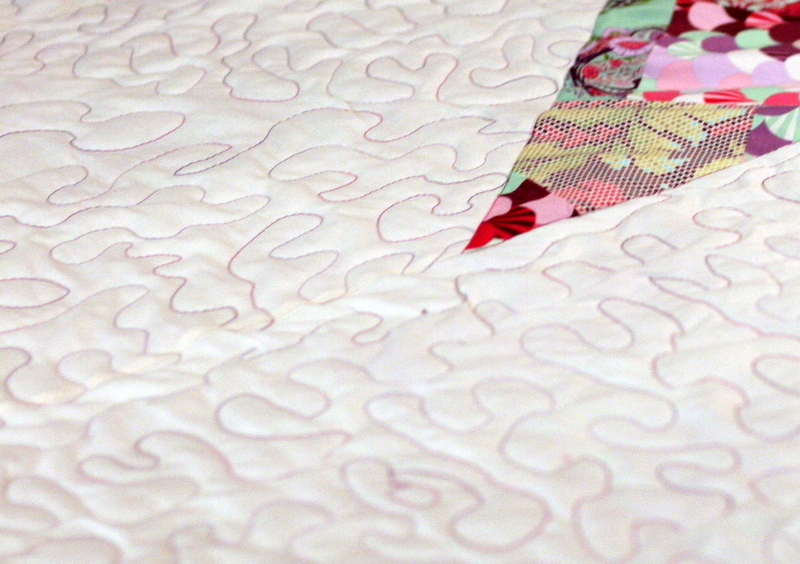 The bright thread on the ivory solid obviously points out every mistake I made, but I kind of love that in a way. I love the contrast. And I decided to do something different for this quilt and only quilt the solid background fabric. The actual Parisville fabric remains without quilting, I just stitched in the ditch around those patchwork sections to set them off. 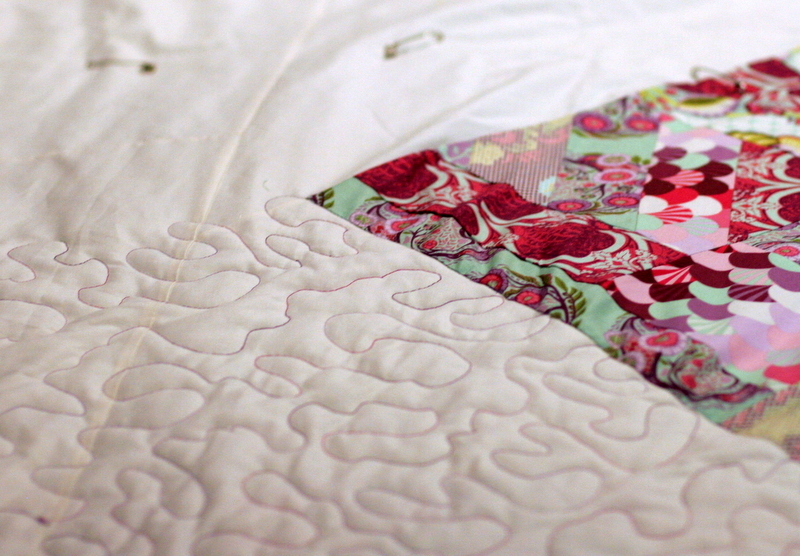 Nice quilting, love the thread and cannot wait to see the finished quilt….